This book offers an illuminating re-appraisal of the domestic space in classical Greece. 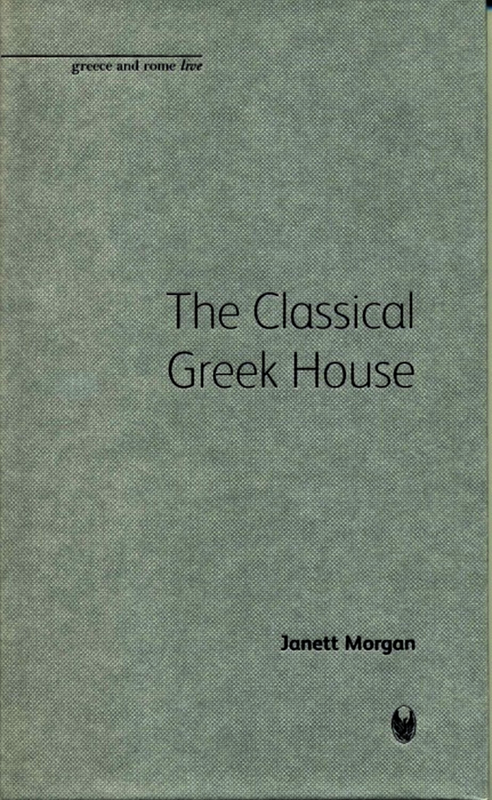 Starting from the premise that we must cease to view the classical Greek house through the lens of contemporary Western notions of the household, Janett Morgan provides a fresh evaluation of what ‘home’ meant to different communities in the ancient Greek world. By employing textual analysis alongside archaeological scholarship her book seeks to explain some of the contradictions that previous, more simplistic approaches have left unanswered. Of value to students and academics alike, Morgan’s work gives an exciting new perspective on relations between men and women, between public and private, and between home and city in the ancient world. ... provides an excellent synthetic overview of house and household activity, and the context of the house in the larger city. Along with the archaeological data she discusses the nature of the Greek house based on insights from classical texts that mention definitions or provide data on houses and household activity. This provides an excellent contextual approach. ... a great introduction for undergraduate courses studying the classical periods – especially since the large urban cities and temples are a major emphasis. Janett Morgan’s book fills a gap by bringing it to a wider readership. This book will make a major contribution to the study of the Greek [house]. The author . . . goes a long way in calling for a new methodological approach to sifting through the source materials for house and household structure in Greece. Janett Morgan is Lecturer in Greek Archaeology at Royal Holloway, University of London. She has published widely in classical studies, in the UK as well as in France and Belgium. Of note are her contributions to 'Archaeology and Ancient History: Breaking the Boundaries' (2004) and 'The Blackwell Companion to Greek Religion' (2007).